Are the varieties you are growing and selling true performers? Find out and maximize your spring offerings by registering for this free webinar hosted by Greenhouse Grower. Greenhouse Grower's resident varieties guru Dr. Allan Armitage of the University of Georgia (UGA) presents the top performing annuals based on responses from hundreds of visitors to UGA’s trial gardens in 2009. UGA’s trial gardens have become the litmus test for plants that can withstand heat and humidity. 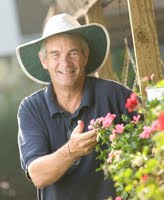 Armitage will talk about annuals that have looked good for extended periods of time and award winners from the Trial gardens at UGA. As Armitage says, if the plant will perform well in Georgia, it will perform most anywhere. Sign up for the Greenhouse Grower Dec 2 webinar with Allan here.